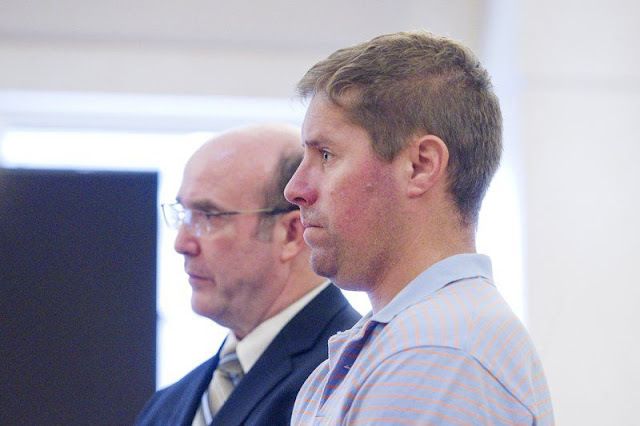 Sean Fitzgerald, right, appears with his attorney Patrick Fragel in 86th District Court on a charge he was drunk in the cockpit of a flight leaving Cherry Capital Airport. 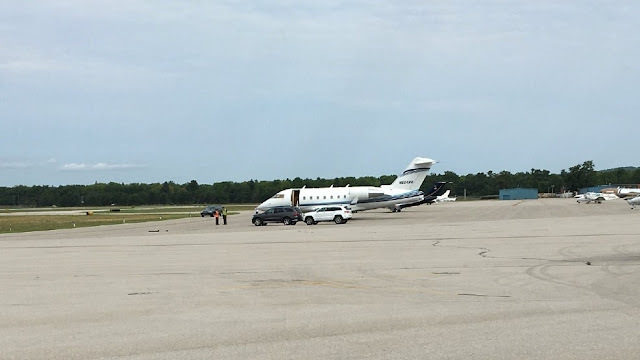 TRAVERSE CITY — A charter plane co-pilot stood mute on accusations he tried to fly from Cherry Capital Airport while drunk. Sean Michael Fitzgerald, 35, of Boca Raton, Florida, appeared for arraignment Friday in front of 86th District Court Judge Michael Stepka on a misdemeanor charge of being an aircraft crewmember and having a blood-alcohol content of 0.02 or more. The hearing followed Fitzgerald's arrest Thursday following a call from a dispatcher for a Talon Air flight reporting that Fitzgerald appeared intoxicated. A preliminary breath test showed he had a 0.301 blood-alcohol content before he was sent to Munson Medical Center for blood draw. "I would assume this would also affect your pilot's license," Stepka told Fitzgerald. Stepka entered a not guilty plea Fitzgerald's behalf after Fitzgerald stood mute. Patrick Fragel, Fitzgerald's defense attorney, said neither he nor his client would comment at this time. A police report states the flight's pilot noticed Fitzgerald smelled of alcohol and slurred his speech. 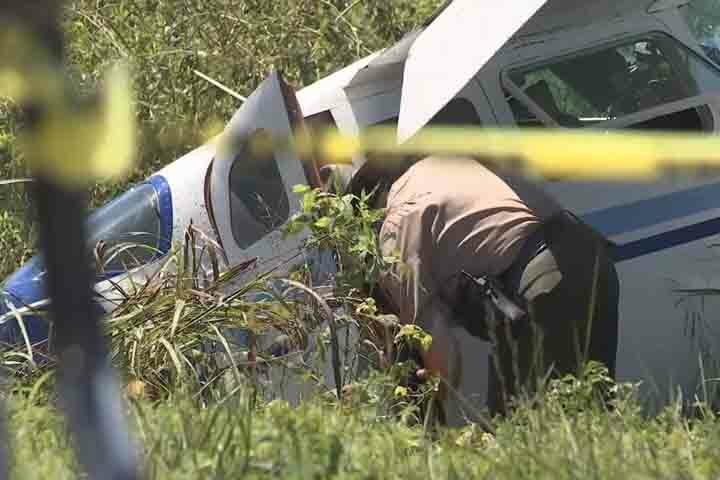 The pilot notified his company's dispatchers, which ultimately brought a city police sergeant into the plane. The sergeant found Fitzgerald in a cockpit seat, with a headset on and making pre-flight checks, the report states. "Fitzgerald stated that he had nothing to drink since his lunch (Wednesday) afternoon at which time he drank two beers," the report states. 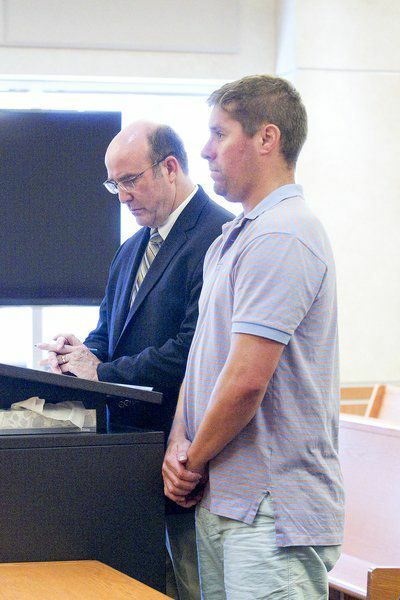 Stepka continued Fitzgerald's $5,000 personal recognizance bond set by a magistrate. The bond includes a condition prohibiting him from flying an aircraft. It allows him to travel to New Jersey. A preliminary hearing is set for Sept. 8. He could face up to 93 days in jail or a minimum fine of $100, if convicted. Miami-Dade County court records state Fitzgerald in 2004 was convicted of disorderly intoxication, a misdemeanor. FAA officials in 2014 proposed a $150,000 civil penalty against Talon Air on accusations company employees violated federal aviation regulations by allowing four pilots to fly without proper training or examinations. Three Talon Air pilots did not undergo recurrent training or receive required competency flight checks, according to an FAA news release. Those pilots flew at least 64 times in 2011 and 2012 while they were unqualified to serve as on-demand flight crew members, the release states. Talon Air offered a rebuttal in 2014, claiming it was related to "an inadvertent administrative paperwork issue." A Talon Air spokesperson said the matter was an resolved without penalty or finding of fault. We can now show you the co-pilot arrested for blowing a .3 alcohol breath test pre-flight at Cherry Capital Airport. 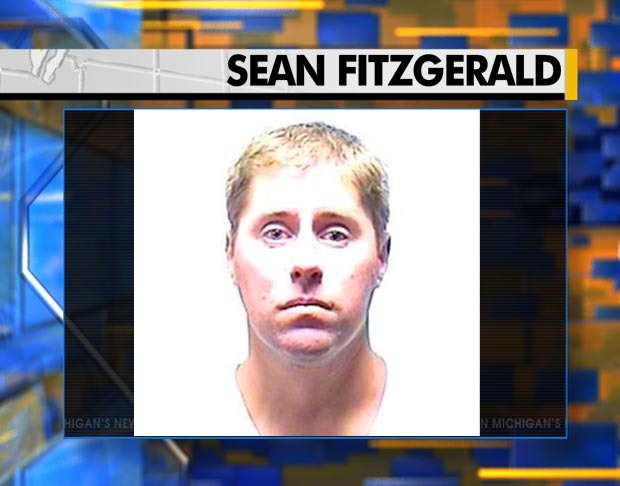 Sean Fitzgerald is charged with a misdemeanor for being almost eight times over the legal limit to fly. His captain on the Talon Air charter plane called police when he noticed Fitzgerald was acting suspicious Thursday morning. Talon Air says Fitzgerald was fired immediately. He's facing 93 days in jail and fines if found guilty. A co-pilot about to fly out of Cherry Capital Airport was stopped for possibly being intoxicated. Police say he did a breath test and blew a .30. They arrested him for operating while drunk. Traverse City police arrested a co-pilot who they say was extremely drunk. The Talon Air charter plane was scheduled to leave from the general aviation runaway on the north side of Cherry Capital Airport. As the crew was getting ready, police say the captain noticed his co-pilot was acting strangely. He quickly called his dispatch center and when Traverse City police got there they found the man had a blood alcohol level of .30 and arrested him. “That's a very high blood alcohol level. I can honestly say in 15 years of law enforcement that this is the first time that I'm aware the city police had arrested somebody that was planning to pilot a plane,” says Captain Kevin Dunklow, Traverse City Police Department. We have reached out to Talon Air in New York and received the following statement. "We are very proud of Captain Manny Ramirez' immediate action in detecting the co-pilot's condition and removing him from his position. This is yet another example of Talon Air's safety procedures working effectively on behalf of our clients and for airport safety. The individual in question has been immediately terminated." 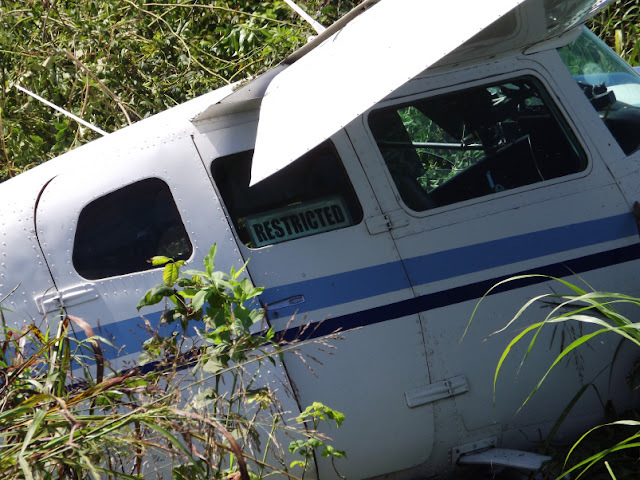 On August 25, 2016, about 1005 central daylight time, a Cessna U206G airplane, N891LL, was substantially damaged during a forced landing near Cave-In-Rock, Illinois. The pilot received minor injuries and the camera operator received serious injuries. The airplane was registered to and operated by the State of Illinois under the provisions of 14 Code of Federal Regulations Part 91 as a public use flight. Day visual meteorological conditions prevailed for the local flight, which departed without a flight plan from Abraham Lincoln Capital Airport (SPI), Springfield, Illinois at 0845. Prior to departure for the aerial mapping flight, the pilot stated the fuel tanks were dipped to confirm a desired fuel load of 550 lbs (89 gallons). During the first 45 minutes of the flight, the fuel selector was in the "both" tanks position. After noticing a fuel imbalance, the pilot moved the fuel selector to the "right" tank position, where it remained for about the next 30 minutes. While wings level at 3,500 ft above ground level (agl), the pilot and photographer noticed an abrupt loss of engine power. The pilot switched the fuel selector back to the "both" tanks position and was unsuccessful in restarting the engine three times. During the restart attempts and engine out descent, the pilot elected not to feather the propeller due to his concern of the time required to unfeather the propeller. Step No. 2 of the 'Engine Restart During Flight' checklist in the airplane's Pilot Operating Handbook directs the propeller control be placed to feather. With the propeller not feathered, the pilot stated the airplane descended at a high vertical speed. 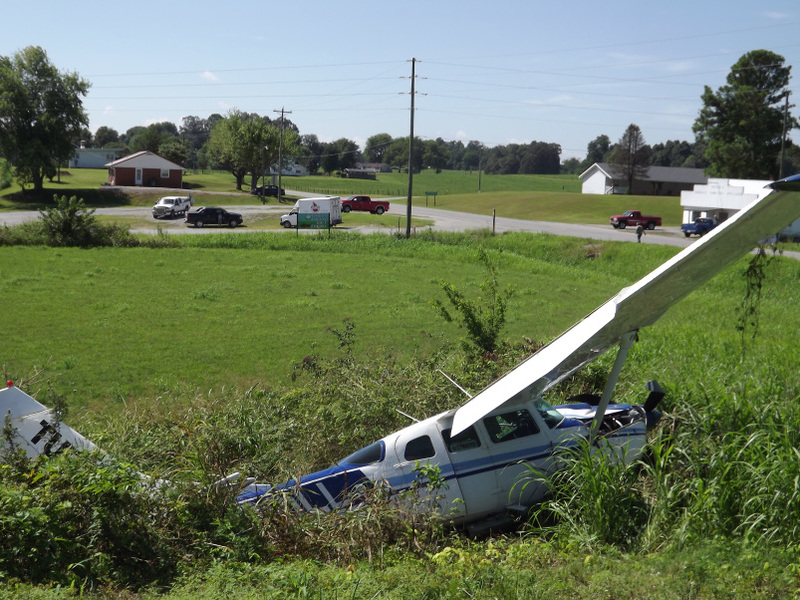 The pilot executed a forced landing, during which the airplane impacted a grassy area at a high descent rate. Both wings and the engine firewall were damaged when the airplane hit a berm. Prior to egressing the airplane, the pilot turned the battery switch off and moved the fuel selector to the "off" position. Examination at the accident site revealed the airplane was resting left wing low, with fuel leaking out of the left-wing tank vent. During recovery operations, 20 gallons of fuel were drained from the right wing and 5 gallons from the left wing. After removal from the accident site, the airplane was placed in the operator's hangar, where the investigative team performed a records review and examined the airframe and engine systems. In 1988, a Soloy Turbine PAC engine was installed in accordance with supplemental type certificate (STC) SA2353NM. This powerplant conversion included an Allison 250-C20S free turboshaft engine and a Soloy reduction gearbox. Examination of the engine revealed no evidence of engine fire, uncontained failure or malfunction. Minor impact damage was present on the outer combustion chamber, but the engine was otherwise undamaged. Both oil and fuel filters were equipped with bypass indicators. Neither filter indicated bypass. The N2 rotor rotated smoothly by manually turning the power output shaft. Rotational continuity from the power turbine to the propeller was confirmed and the power turbine was not damaged. The N1 rotor rotated normally after energizing the starter-generator. The N1 spun up normally. Borescope inspection of turbine blades revealed no evidence of thermal erosion, foreign object damage or abnormal combustion. The fuel supply line was disconnected from the fuel spray nozzle, revealing a few drops of fuel in the line. The starter-generator was engaged to check for fuel flow to the fuel spray nozzle; no fuel flowed. The fuel line to the fuel-flow transducer was disconnected and the starter-generator was engaged, with no fuel flow. The fuel line to the check valve assembly was disconnected and the starter-generator was engaged. After a brief purge of air, fuel flowed freely from the fuel supply line. The disconnected fuel lines were reconnected, the fuel spray nozzle was connected to the fuel supply line, and the starter-generator was engaged again. After air was purged from the fuel pump, fuel flowed freely to the fuel nozzle, which produced a normal spray pattern. The purpose of the check valve assembly is to prevent a buildup of raw fuel in the combustion case if the burner drain valve remains in the open position when the engine is not operating, which could result in a hot start. The check valve also prevents fuel nozzle drip at shutdown, reducing the risk of a fire. Based on the design, an engine restart is not possible when air from the fuel system has reached the check valve, and there is no procedure to clear the air while in-flight. A vacuum test was performed on the engine fuel system. The fuel line at the fuel selector switch was capped off, and 8 pounds per square in vacuum (PSIV) was applied to the drain port of the engine-mounted fuel pump. The system held the vacuum for two minutes. The wing fuel vent systems were examined by applying compressed air through each wing fuel vent line, with no blockages observed. Both wing fuel vent valves operated normally, with no restrictions. Both wing float switches were electrically tested, with no anomalies. The respective wing fuel low level lights illuminated when each wing fuel float valve reached about 2 inches from the bottom of the respective fuel tank. A vacuum test was performed from the engine pump filter bowl to the fuel valve, with no defects noted. Compressed air was applied to test for air leaks in the wing fuel feed tubes/lines, from the wing to each fuel reservoir. No anomalies were noted. The fuel selector valve was removed from the airplane and the bottom plate was removed to expose the plate with the ports. The valve was selected to each position (OFF, LEFT, RIGHT, BOTH), with no anomalies noted. After completion of the examination, the engine was shipped to the Rolls-Royce engine testing facility, where an engine functional test run was conducted. The engine started normally. Since a propeller was not available to prevent an overspeed, the engine was only accelerated past ground idle enough to demonstrate normal acceleration capability. The fuel pump was dissembled and there was no evidence of cavitation or other malfunction. The Shadin Fuel Flow Indicator was removed from the airplane and shipped to the National Transportation Safety Board Vehicle Recorder Division. The unit displayed engine fuel flow, fuel used, and fuel remaining. The unit did not interface with airplane's fuel quantity indicating system and required the crew to enter the initial fuel onboard. All calculations and data provided by the unit were based on fuel flow. Between power cycles, the indicator retained the last fuel used and fuel remaining. After power up, the unit indicated fuel remaining was 325 lbs. and fuel used was 225 lbs. Injuries: 1 Serious, 1 Minor. This is preliminary information, subject to change, and may contain errors. Any errors in this report will be corrected when the final report has been completed. NTSB investigators may not have traveled in support of this investigation and used data provided by various sources to prepare this aircraft accident report. 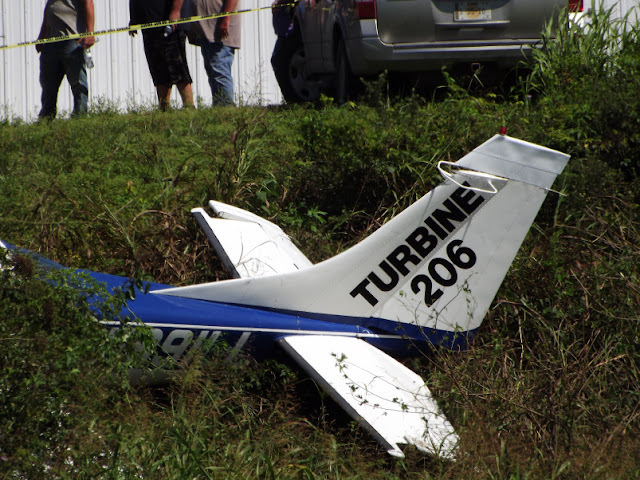 While conducting an aerial mapping flight, the pilot stated the turbine engine lost total power. The pilot attempted to restart the engine, but was not successful and executed a forced landing, which substantially damaged both wings and the engine firewall. The airplane was retained for further examination. 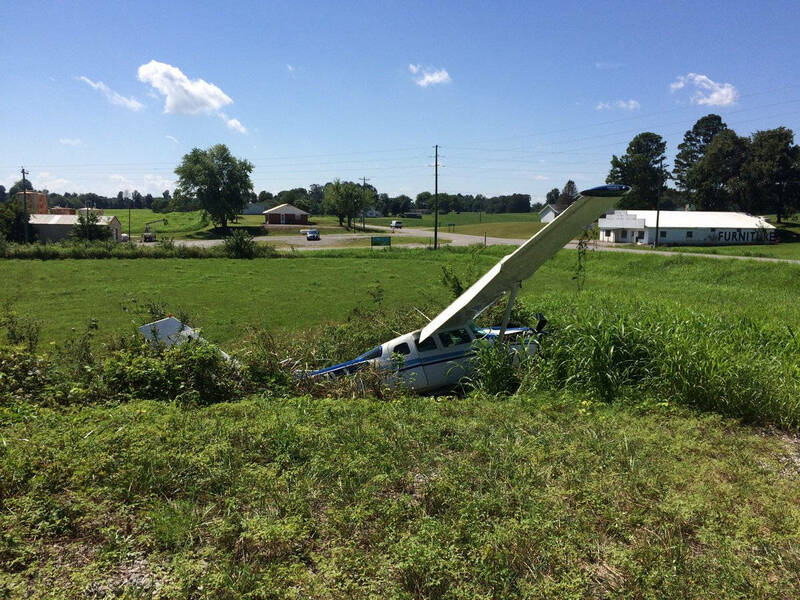 HARDIN CO. -- The Hardin County Sheriff's Office says two people were injured in Thursday's plane crash. One person was flown to an out of state hospital. 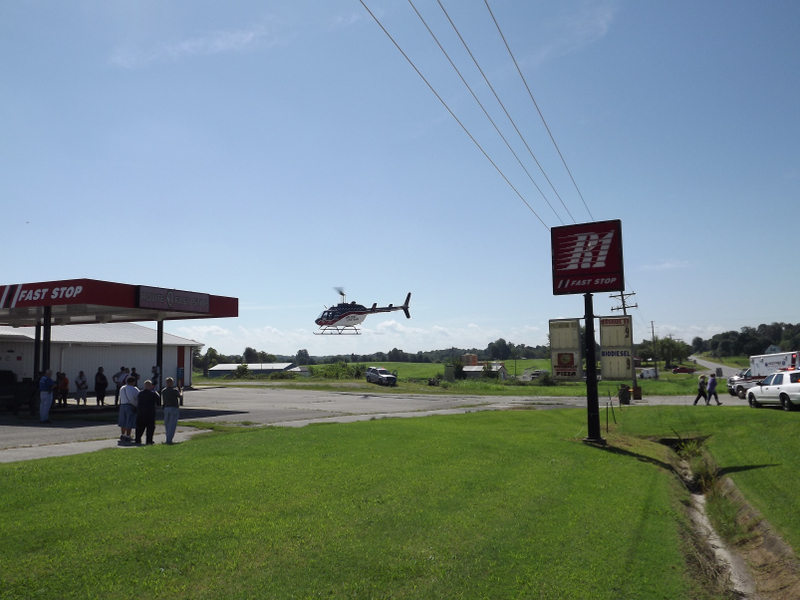 The second was taken by ambulance to Hardin County Hospital. There's no word on their conditions. Illinois State Police are expected to release more information. HARDIN CO. -- Authorities were called to a plane crash in Hardin County Thursday morning. It happened near the intersection of Route 1 and Route 146, north of Cave-in-Rock. Both roads are open. Illinois State Police, the Hardin County Sheriff's Office, and a medical helicopter responded. 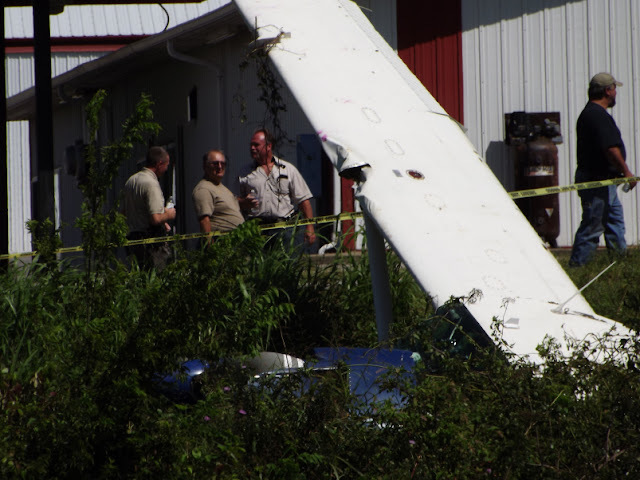 HARDIN COUNTY, IL (KFVS) - A small plane has crashed in Hardin County, Illinois, near Cave-in-Rock. It happened around 10:15 a.m. near the intersection of Route 1 and Route 146. According to a spokesperson for the Federal Aviation Administration, the plane left Springfield, Ill. around 8 a.m. The Illinois State Police are handling the investigation. No word on any injuries. According to the Georgia Power outage chart, power has been restored to a significant portion of Turner County residents . Officials with the Turner County Sheriff’s Office say that a small plane clipped power lines and made an emergency landing just after nine Thursday morning. EMA Director Mark Robinson told FOX 31 News that the plane made a safe landing in a cotton field, on a private farm, off of Shepherd Road. Georgia Power and Irwin EMC were on scene through the morning and early afternoon working on the on the transmitter lines that were clipped. Officials say that no injuries were reported. On August 25, 2016, about 1250 central daylight time, a Piper PA-25-235 single-engine airplane, N4963Y, was substantially damaged during an off-airport forced landing near Bushton, Kansas. The pilot sustained serious injuries. The airplane was registered to a private individual and was operated by Wayne's Ag Aviation; Ellsworth, Kansas, as a Title 14 Code of Federal Regulations Part 137 agricultural application flight. Visual meteorological conditions prevailed, and no flight plan had been filed. The local flight departed Ellsworth Municipal Airport (9K7), Ellsworth, Kansas, about 1130. 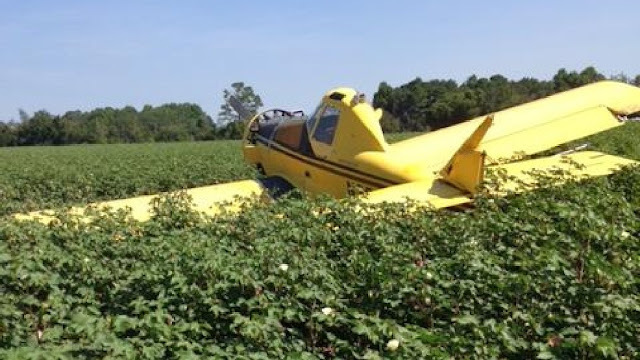 The pilot was applying pesticide to a field when there was a partial loss of power and the engine did not respond to throttle inputs. The pilot flew straight ahead, colliding with tall milo crops, and the airplane came to rest inverted. There was a post-impact fuel and pesticide leak, but no post-impact fire. There were no witnesses to the accident. Federal Aviation Administration (FAA) inspectors examined the engine on August 30, 2016. They reported finding no evidence of pre-impact catastrophic mechanical malfunction. Mechanical continuity was established during hand rotation of the crankshaft. The spark plugs electrodes remained mechanically undamaged and exhibited coloration consistent with normal operation. Spark was obtained from the magnetos. All fuel lines were found to be in place and secure. Fuel consistent with the appearance and odor of aviation fuel was noted. The gascolator and carburetor fuel screens were clean. The throttle/mixture controls were found securely attached at their control arms on the carburetor. and continuity to the cockpit was established. The air cleaner was free and clear of foreign objects. The engine had straight pipes and no muffler. According to the FAA "Carburetor Icing Prevention" chart, under the conditions that prevailed, serious icing was possible at glide power. On August 25, 2016, about 1250 central daylight time, a Piper PA-25-235 single-engine airplane, N4963Y, was substantially damaged during an off-airport forced landing near Bushton, Kansas. The pilot sustained serious injuries. The airplane was registered to a private individual and was operated by Wayne's Ag Aviation; Ellsworth, Kansas, as a 14 Code of Federal Regulations Part 137 agricultural application flight. Visual meteorological conditions (VMC) prevailed and a visual flight rules (VFR) flight plan for the local flight had not been filed. The pilot was spraying pesticide when he had a partial loss of power and engine did not respond to throttle commands. He crashed straight ahead into a tall Milo crop and the airplane came to rest inverted. There was a postimpact fuel leak and pesticide leak, but no postimpact fire. 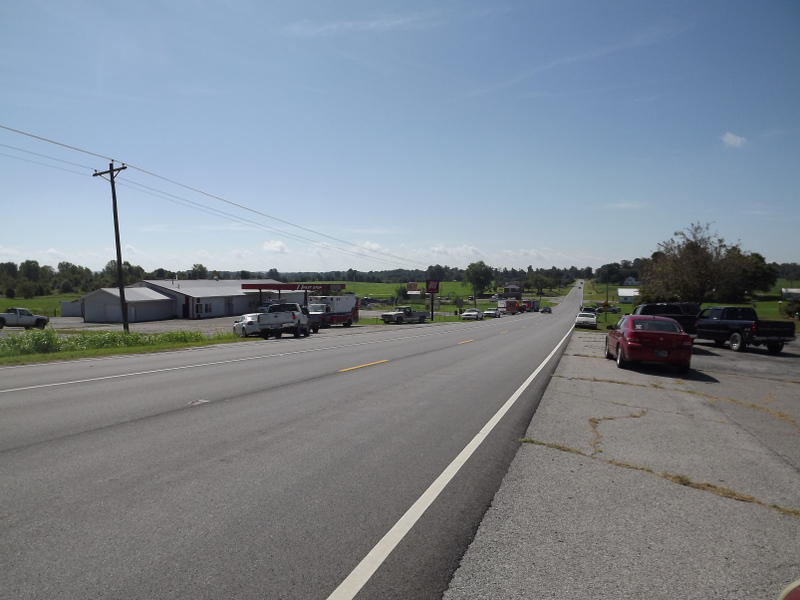 No witnesses observed the accident and the wreckage wasn't easily visible from nearby roads. 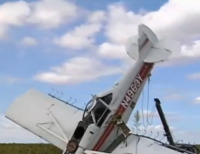 The pilot reported that although he was in considerable pain with several broken bones, after efforts of more than 15 minutes he was finally able to exit the inverted wreckage of the low-wing airplane. He then saw his cell phone on the ground, picked it up, called 9-1-1 emergency and directed the emergency responders to his location. The closest official weather reporting station was at KGBD, Great Bend, Kansas; located 24 miles southwest from the accident location, At 1235 the Automated Surface Observation System at KGBD, reported wind from 050 degrees at 11 knots, visibility 10 miles, clear skies, temperature 21 degrees Celsius (C), dew point 13 degrees C, with an altimeter setting of 30.16 inches of mercury. 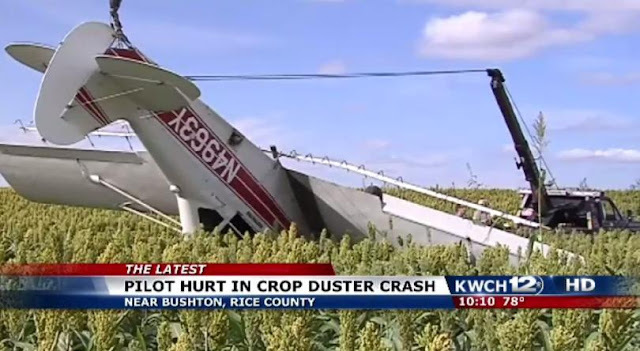 RICE COUNTY, Kan. UPDATE: The Kansas Highway Patrol says the pilot of a 1968 Piper fixed wing aircraft was injured in a Thursday afternoon crop duster plane crash in Rice County. The KHP says the plane was in the process of spraying pesticide on a crop field, when for unknown reasons, the motor stalled. The pilot, 51-year-old Brad S. Fitchett, of Ellsworth, attempted an emergency landing, skidding more than 180 feet through the field when the plane flipped on its top. Fitchett was transported to the Great Bend Regional Hospital before being transferred to Via Christi St. Francis hospital in Wichita where he's listed in serious condition. Emergency crews are on the scene of a crop duster crash in Rice County. It happened at around 12:40 near Avenue B and 5th Road. Rice County EMS and the Bushton Fire Department responded to the scene. No word on the condition of the pilot. BUSHTON, Kan. (AP) — Authorities say a Kansas pilot has been hurt in a small plane crash in central Kansas. 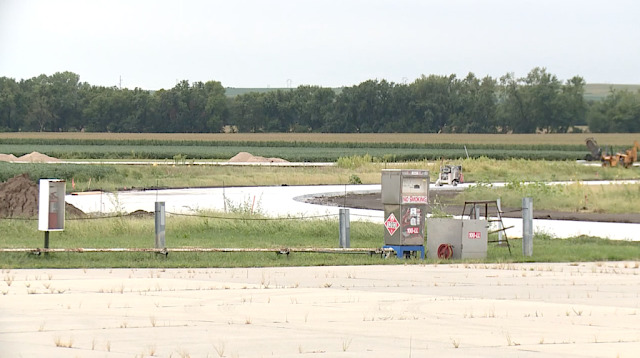 Kansas Highway Patrol Master Trooper Dave Jacobs says 51-year-old Bradley Fitchett, of Ellsworth, was using a small agricultural aircraft to spray pesticide on a field south of Bushton on Thursday when the plane developed an engine problem. Fitchett attempted to make an emergency landing when the plane flipped. The pilot was transported to Great Bend hospital and then transferred to a Wichita hospital. Jacobs says Fitchett was wearing a helmet that was crushed in two places. Jacobs says it saved Fitchett from a more serious head injury. The accident is under investigation. A Guatemalan man who purchased airplanes in Virginia for the international trafficking of tons of cocaine was sentenced to just under 22 years in prison this morning. Fernando Chang Monroy, 37, pleaded guilty in March to conspiracy to possess with the intent to distribute 5 kilograms or more of cocaine on board an aircraft registered in the U.S. The twin-engine, turbo-prop airplanes were used to transport more than a ton of cocaine from an airfield in Venezuela to Honduras. "As far as I can tell, it's the biggest drug case that has ever come before a Richmond court," said Erik S. Siebert, an assistant U.S. attorney told U.S. District Judge Henry E. Hudson. "I will concede the defendant is not at the top of the food chain at all. But he was dealing with them," Seibert added. The government sought a 21-year, 11-month prison term, at the low end of the federal sentencing guidelines, citing Chang Monroy's lack of a prior criminal record and his decision not to fight extradition from Guatemala and to plead guilty which allowed authorities to not reveal confidential sources or methods used in the case. Hudson told Chang Monroy, "I do find that you are a significant player in a major conspiracy to import huge amounts of cocaine into the United States ... it's a disturbingly serious offense." When he was arrested in Guatemala City last year, Chang Monroy was armed with two handguns. Speaking through an interpreter this morning, the father of three told Hudson, "From the moment I was arrested I knew that I had been wrong, I wanted to accept my guilt." "I am very sorry because I hurt so many people with drugs (that entered) the United States," said Chang Monroy. He also apologized to his family and to Hudson moments before he was sentenced. Earlier one of his lawyers, Dennis N. Urbano, of Miami, unsuccessfully sought a sentence below the guidelines arguing that his client did not play an organizing or leadership role in the conspiracy, but rather a broker or middleman. "My client has done everything right that he absolutely could to show remorse," said Urbano. The two Beechcraft King Airs were purchased somewhere in the federal Eastern District of Virginia. Chang Monroy admitted that the first one was sold to a Honduran drug trafficking organization for a percentage of the profit from 1,000 kilograms of cocaine transported aboard it in 2013 Venezuela, to Honduras. The second airplane was sold to a Colombian drug trafficking organization. In 2014 it was flown to Venezuela and loaded with 1,000 kilograms of cocaine. But the pilots refused to take off despite assurances of a safe departure after seeing Venezuelan military aircraft overhead. The cocaine was taken off the aircraft and the aircraft was destroyed. In pleading guilty, Chang Monroy also admitted to finding pilots and altering one of the aircraft to facilitate the smuggling. He also arranged for the safe passage of the aircraft through Venezuelan air space via corrupt radar operators. It is apparently the first such prosecution in the Eastern District of Virginia. Authorities said the large used aircraft market in the U.S. plays a key role in international drug trafficking by providing an inexpensive and relatively safe way for large trafficking organizations to move drugs. 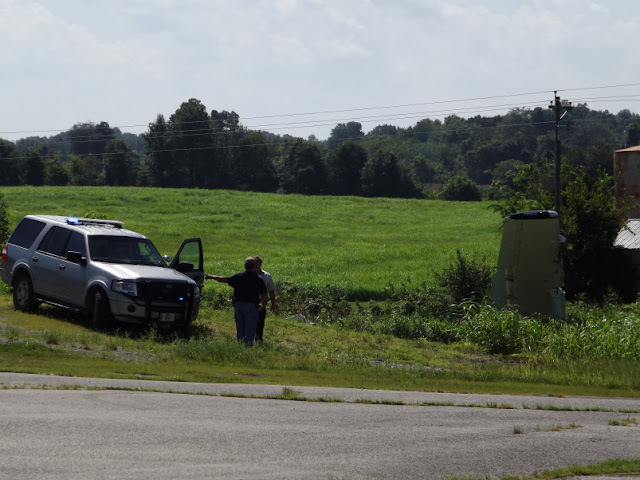 The case was investigated by the DEA, IRS and FBI, as well as police in Hanover County, Chesterfield County and Richmond, and the Virginia State Police. AUBURN – In just over a month, the city of Auburn will have a fully functional and paved airport. The runway is already paved and construction crews are now working on surfacing ramps and the skirting surrounding the runways. The city hopes the entire project is complete by October 1st of 2016. The project in it’s entirety costs just short of $3 million with the FAA paying the majority. 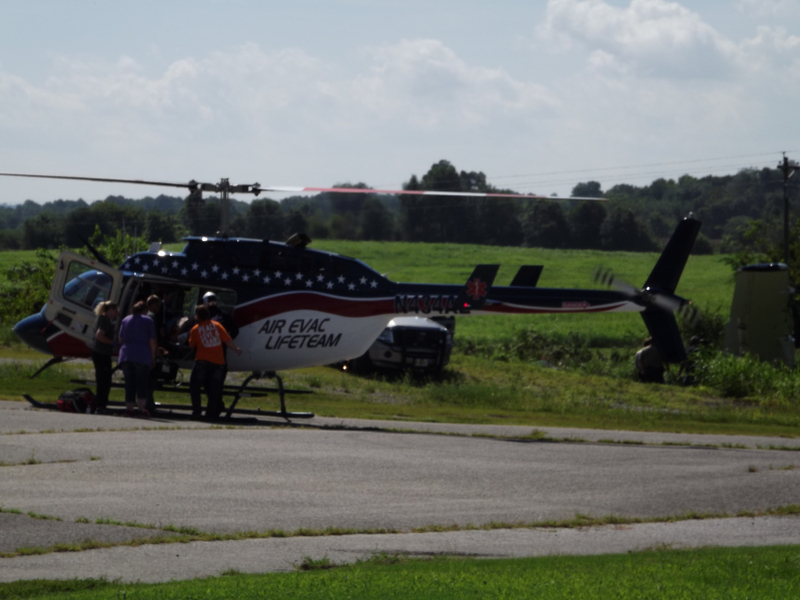 The city of Auburn is responsible for a 10 percent match of the FAA funding which is around $260,000. NPPD contributed another $197,000 to the runway project. NPPD will be utilizing the airport frequently to conduct business at the Cooper plant. Auburn Mayor Scott Kudrna says the city has desperately needed to pave their airport runway for around 40 years. “We’re the only community with over 3,000 people that doesn’t have a paved runway, in the state of Nebraska,” says Kudrna. Before the airport renovations, planes were forced to land on a grass runway at the airfield. That was a problem for insurance companies, who oftentimes would not allow their pilots to land planes on the grass. “Even though a pilot or their was certainly capable of doing it, insurance wouldn’t cover those landings,” says Kudrna. One reason this project took 40 years to complete is the fact that the city needed FAA funding. In order for the the Federal Aviation Administration to give airports funding, they require airports to have the capacity to store a certain number of airplanes. Auburn’s airport fell below that threshold and therefore they built a hangar to store 4-6 more planes, so they could the grant from the FAA. So with the paving and the new hangar, which costs around $350,000, the city of Auburn will pay a total over $500,000 for the project. “We want to make sure this a viable amenity to our community and in order to do that we had to make these investments. FFA is a big, big part of small municipal airport funding,” says Kudrna. On August 24, 2016, about 1500 Pacific daylight time, an experimental amateur-built Schneider/Cook SC Skybolt, N300SB, sustained substantial damage following a landing gear collapse during taxi at the Corvallis Municipal Airport, Corvallis, Oregon. The private pilot and pilot rated passenger were not injured. The flight was being operated by the pilot as a personal flight under the provisions of Title 14 Code of Federal Regulations Part 91. Visual meteorological conditions prevailed and no FAA flight plan was on file. The pilot reported that the airplane had recently been purchased by a new owner, and he was asked to fly with them since he had extensive experience in similar airplanes. The flight was uneventful and consisted of normal maneuvers and a number of touch-and-go landings. After the last landing, as the airplane was taxiing back to the ramp, the left main landing gear collapsed. Initial examination of the main landing gear truss system revealed substantial damage to the fuselage frame structure. A detailed examination of the landing gear truss structure is pending. AIRCRAFT ON LANDING STRUCK THE PROPELLER, CONCORD, NEW HAMPSHIRE. NTSB investigators will use data provided by various entities, including, but not limited to, the Federal Aviation Administration and/or the operator, and will not travel in support of this investigation to prepare this aircraft accident report. 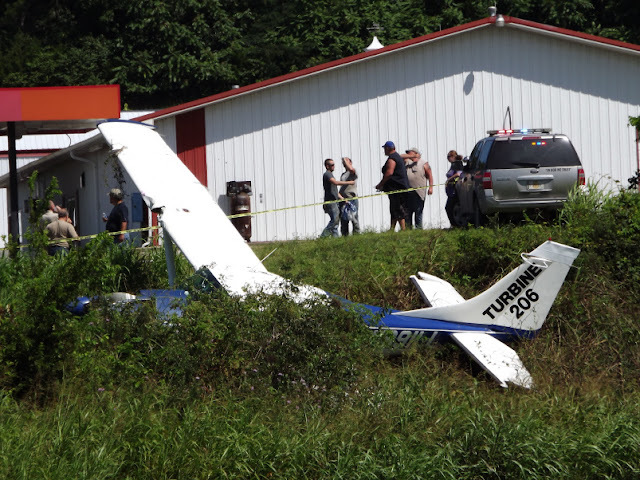 AIRCRAFT ON LANDING WENT OFF THE RUNWAY INTO THE GRASS, FRANKLIN, PENNSYLVANIA. AIRCRAFT ON LANDING WENT OFF THE RUNWAY AND STRUCK A LIGHT, ANN ARBOR, MICHIGAN. NTSB investigators used data provided by various entities, including, but not limited to, the Federal Aviation Administration and/or the operator and did not travel in support of this investigation to prepare this aircraft accident report. 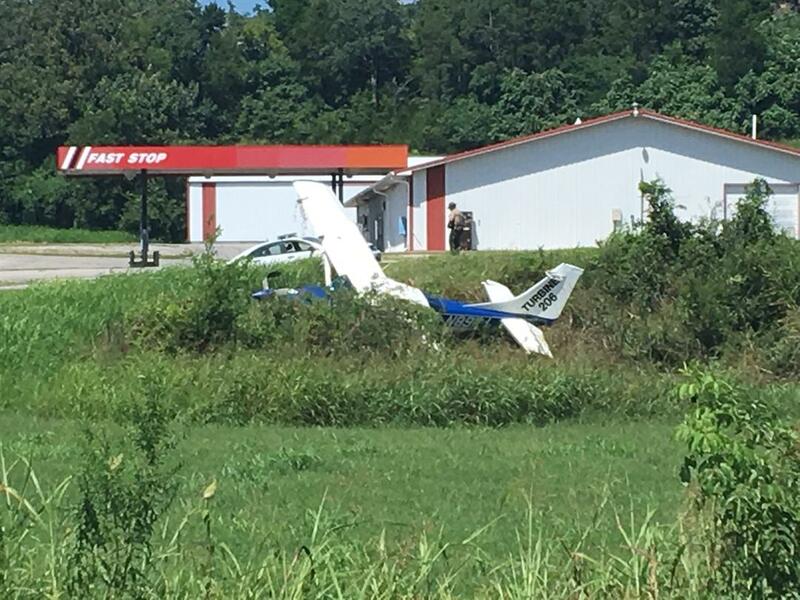 The solo student pilot reported that after he had landed he taxied to get fuel. He was waved around behind two parked airplanes. After he passed the first airplane, the left wing of the airplane impacted a hanger. The airplane sustained substantial damage to the left wing and fuselage. The student pilot reported no preaccident mechanical malfunctions or failures with the airplane that would have precluded normal operation. The student pilot reported that this accident could have been prevented if he had remained focused "on the task of taxiing the airplane, rather than looking at the person/parking spot". On August 24, 2016, about 1830 central daylight time, a Beech E-55, N855T, impacted the runway surface during a gear-up landing on runway 17 at Sheppard Air Force Base/Wichita Falls Municipal Airport (SPS), Wichita Falls, Texas. The airplane sustained substantial damage to the bottom fuselage structure. The flight instructor and a commercial rated dual student pilot were uninjured. The airplane was registered to and operated by Cobra Kai Inc (dba Cobra Kai Flight Academy) under 14 Code of Federal Regulations Part 141 as an instructional flight that was operating on an instrument flight rules flight plan. Visual meteorological conditions prevailed at the time of the accident. The flight originated from Kickapoo Downtown Airport, Wichita Falls, Texas at 1609 and diverted to SPS. The flight instructor stated that during an approach for landing, the landing gear selection handle was placed into the gear down position, and "immediately" he and the duel student pilot noticed electrical smoke and fumes, but there was never a fire. The battery and alternator switches were selected to the off position to vent the cockpit. The flight instructor and the pilot restored electrical power and saw the landing gear up and down position indicator lights were not illuminated, and the landing gear circuit breaker was tripped. They were unable to fully extend the landing gear. The manual landing gear crank handle did not engage and spun freely in both directions and they were unable to fully extend the landing gear. They then performed a gear-up landing on runway 17. Post-accident examination by the Federal Aviation Administration of the main landing gear retraction actuator assembly revealed a broken snap ring within the manual crank extension housing that allowed the actuator worm gear to reposition itself beyond the actuator worm sector travel limits. There was no airplane maintenance record showing that the landing gear actuator assembly had been repaired/overhauled. The airplane had a total time of 6,184.5 hours. According to the Baron 55 and 58 Maintenance Manual, section 5-10-00- 601, dated April 1, 2015, TIME LIMITS/MAINTENANCE CHECKS, TIME LIMITS INSPECTION/CHECK, A. Landing Gear states that the actuator assembly is to be overhauled or replaced every 2,000 hours for gray or green colored assemblies. The assembly that was examined was green colored. On August 24, 2016, about 1830 central daylight time, a Beech E-55, N855T, impacted the runway surface during a gear-up landing on runway 17 at Sheppard Air Force Base/Wichita Falls Municipal Airport (SPS), Wichita Falls, Texas. The airplane sustained substantial damage to the bottom fuselage structure. The flight instructor and a student pilot were uninjured. The airplane was registered to and operated by Cobra Kai Inc under 14 Code of Federal Regulations Part 141 as an instructional flight that was operating on an instrument flight rules flight plan. Visual meteorological conditions prevailed at the time of the accident. The flight last departed from Lawton-Fort Sill Regional Airport (LAW), Lawton, Oklahoma and was destined to SPS. Examination of the main landing gear retraction actuator assembly revealed a broken snap ring within the manual crank extension housing that allowed the actuator worm gear to reposition itself beyond the actuator worm sector travel limits.